Build the Next Generation of e-Commerce Businesses. 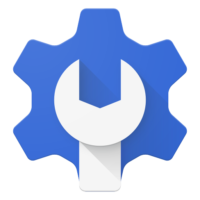 Genstore is built with new cutting edge technology — MEAN stack. 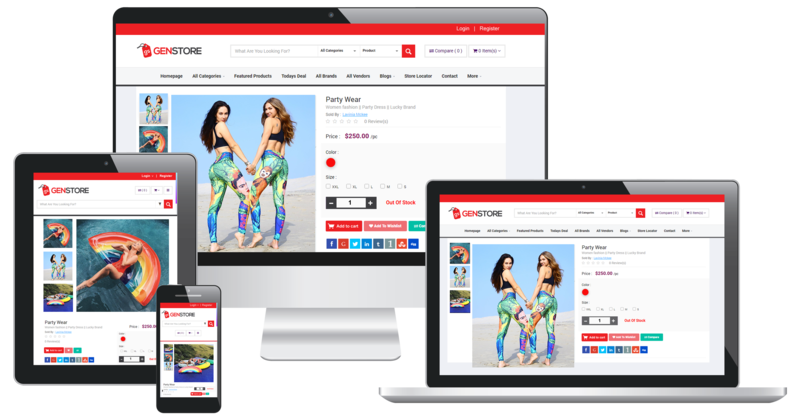 The technology was chosen specifically after studying the needs of multi-vendor eCommerce software businesses, understanding how important it is for the site to successfully handle hundreds of thousands of buyers and sellers. Focus only on the growth of your business and not of worrying about the scalability. Run your business for a long time as this underlying technology is going to be the future. Keep your competitors at bay with all these exclusive features. Save your time, energy and money that you spend on – Customer support. Be where your customers are. There are over 1 billion people on Messenger. Build an Audience on Facebook Messenger. 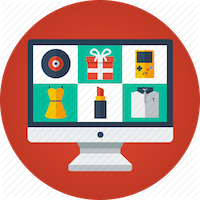 Automate and grow your eCommerce business. An Artificial Intelligence chat bot integrated on your facebook page – that connects your website and FaceBook page. 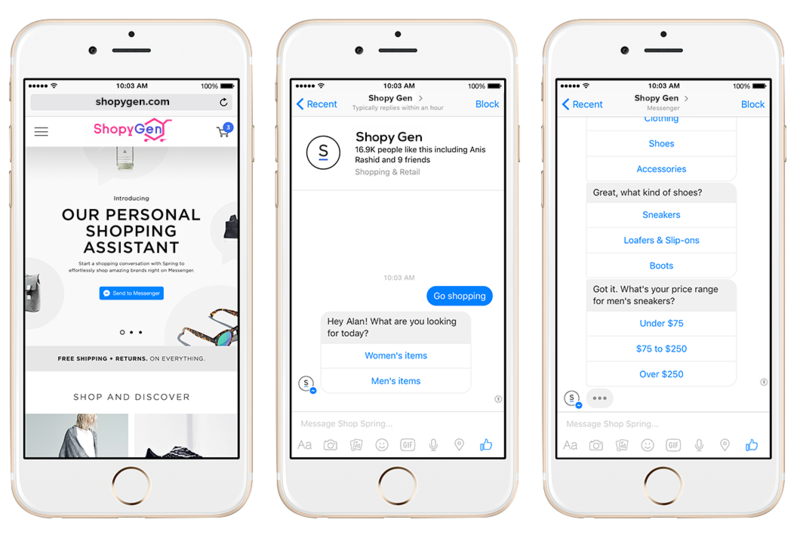 Your visitors can ask their questions right from their messenger app and the BOT will automatically fetch answers from your database and display it to your customers. Anything Regarding products, categories, price, order status, history – An automated response within a second. 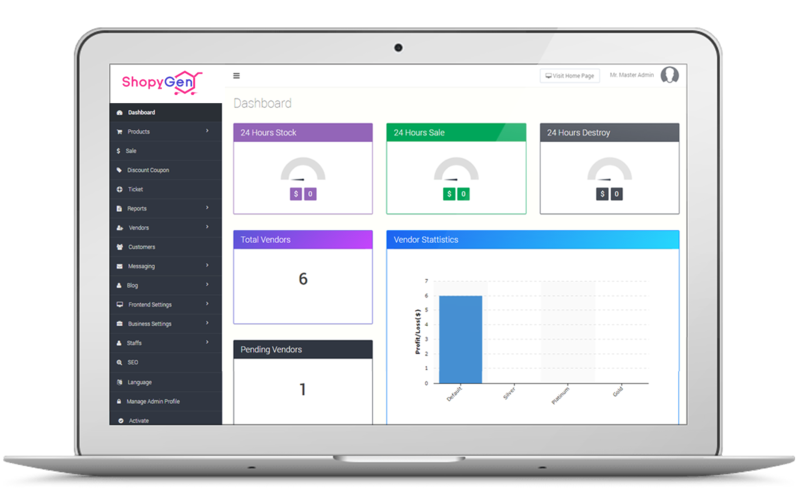 Keeping your multi-vendor ecommerce business growth in mind, we have built a Robust Admin Panel. The following 3 would constitute the entire site management and its all automated for you to manage it over a single click. It’s all one time configuration which once done , the site will operate on its own without any manual intervention. You will have to login only for 2 main reasons. 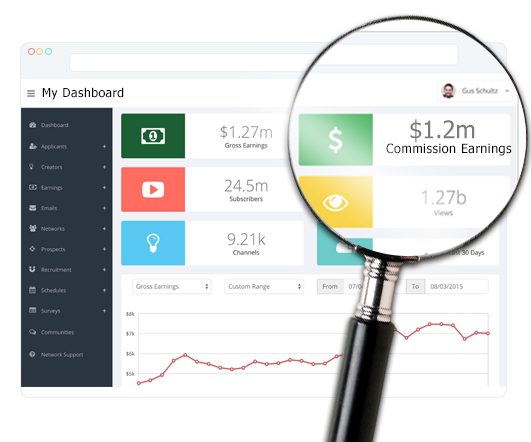 To track your commission and revenue. To solve disputes if there is any. This comprehensive approach of enabling the seller to build their own business will establish your brand’s name to get more seller’s onboard. More sellers – More users – More revenue! Genstore’s design is based on HOOK model and has a responsive design. After much research and iterations we have designed habit forming designs that can be seen in products like Snapchat, tinder, etc. These kind of designs increase the likelihood of users eventually getting addicted to your website. Now have your users user your website from anywhere , any device – The website is designed to be accessed from any device irrespective of its screen size. Admin panel – seller dashboard – Front end – Communication all through the platform will be through a super secure and intelligent API layer. 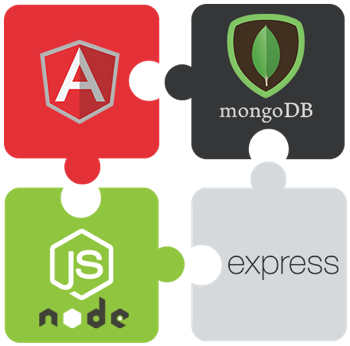 Customizing and integrating 3rd party APIs made easy. Two different product niche on a single software platform. Giving seller more options to sell different products that they have. Thereby the website would offer to attract more sellers to register. More sellers directly proportional to revenue. Give your users options to pay for what they shop via multiple channels. We have PayPal and Stripe integrated by default. Any other local payment gateways too can be easily customized and added. Integrated twilio cloud API for SMS communications. 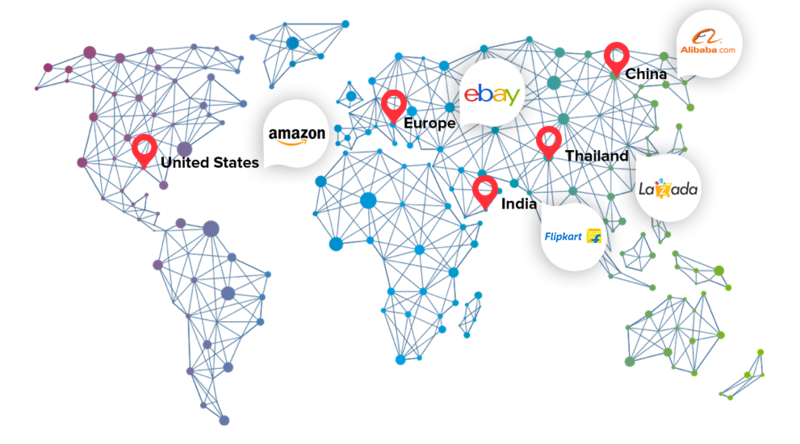 The multi-vendor marketplace software uses twilio based SMS OTP to verify the “Cash on Delivery” orders. Sellers can upload their tracking number against each shipment made for an order. For each status of the order, user will be notified of it with this shipment tracking number. Transparent shipment status would reduce the risk of disputes. Eliminating the necessity to remember multiple login credentials and making it easy for your users to login faster using social login. Social logins increase the sign ups too. No matter what size your business, Genstore has a solution that will help you sell more. Newsletter subscription management and bulk emailing for marketing and other communications. Collects email ID’s and stores in lists like newsletter users, all users, sellers, and registered users. Have your users rate the sellers post purchase. Good ratings would create more trusted sellers in the multi-vendor marketplace platform for users to purchase without any second thought. 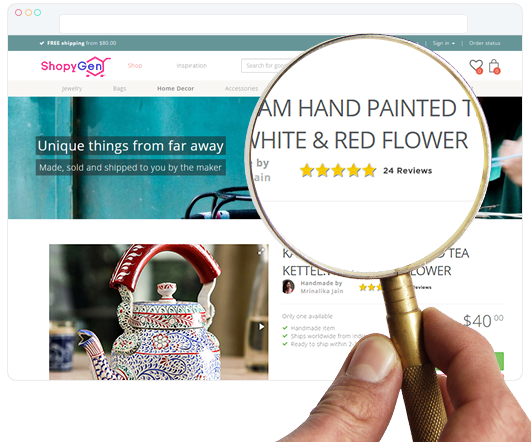 The marketplace software allows sellers to subscribe to feature listing and showcase their products in a highlighted list on the homepage for a limited period. 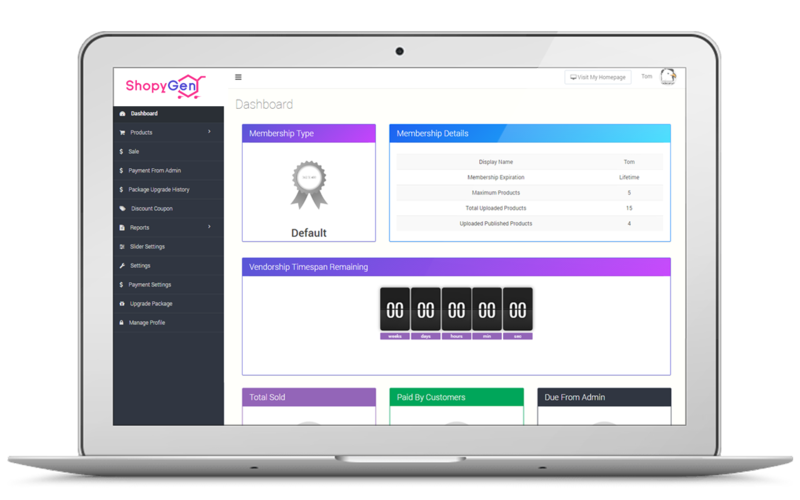 Integrated payment system and membership package management for admin are available. Site owner can set multiple currencies of different countries and their conversion rates. User’s IP will be tracked and based on his location, product prices will be displayed in his/her local currency. Integrated coupon management system for sellers. From their dashboard on the multi-vendor marketplace, sellers can create discount coupons with details like coupon name, coupon code, and discount percentage, coupon usage limit, and validity period. Your dashboard will get updated on every sale with the sellers name , amount you owe to vendor and the amount you get as commission for each sale. Based on the dashboard calculations, you can make a payout to the sellers on successful delivery. A Powerful Multi vendor shopping cart CMS solution for high-volume businesses.